Here are more of your favorite Stretches.Dont forget to click on each image for a Super Size Look! 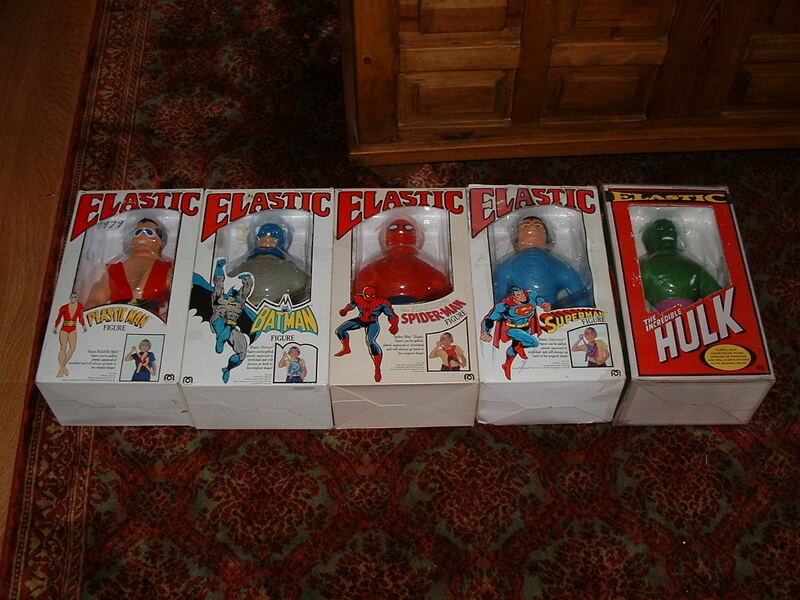 Just look at this awsome Mego elastic Spidey. This thing is absolutely perfect! I challange anyone out there to find one better. 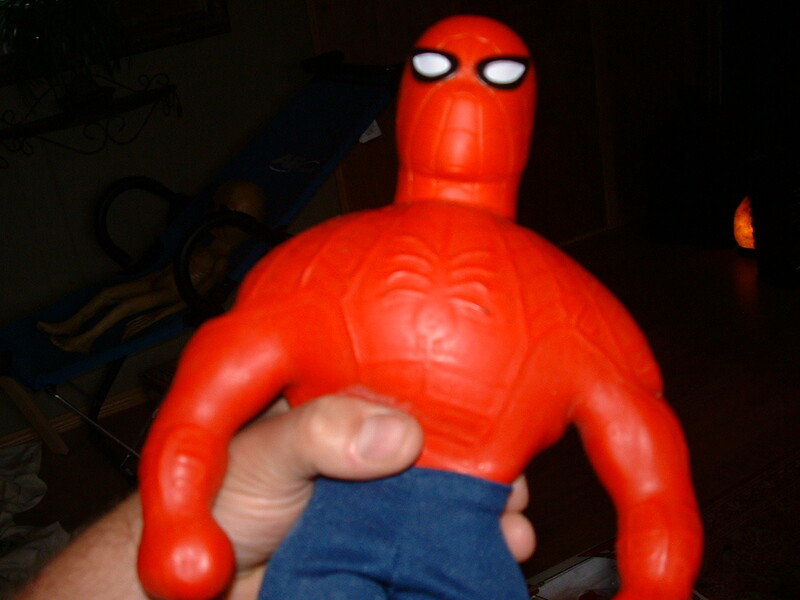 This spidey has perfect skin, no holes and is still perfectly supple and soft. A very rare occurance since almost all of the only 15 or so spideys are in need of repair.This Spidey is Crazy!!!!!!!!! 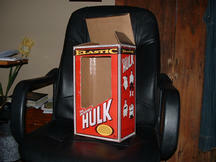 Mego Hulk Box Copy That I Made. I make these copies to the exact specs as the origianl and dare you to tell the difference. A very great alternative if one cannot find an original box. Please email me if you would like one made for you .Contact me through the contqact page on this website. 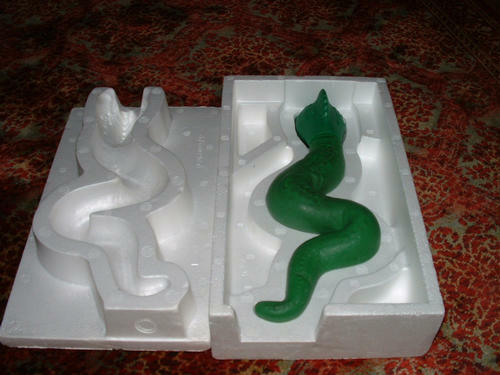 Wax mold of proposed and unproduced stretch giraffe head by Kenner. 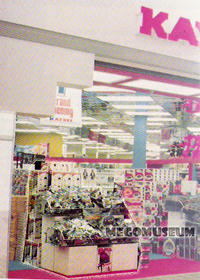 The Kenner Stretch Monster almost was released as the Stretch Giraffe as you will see on the upcomming U.S.patent pages. 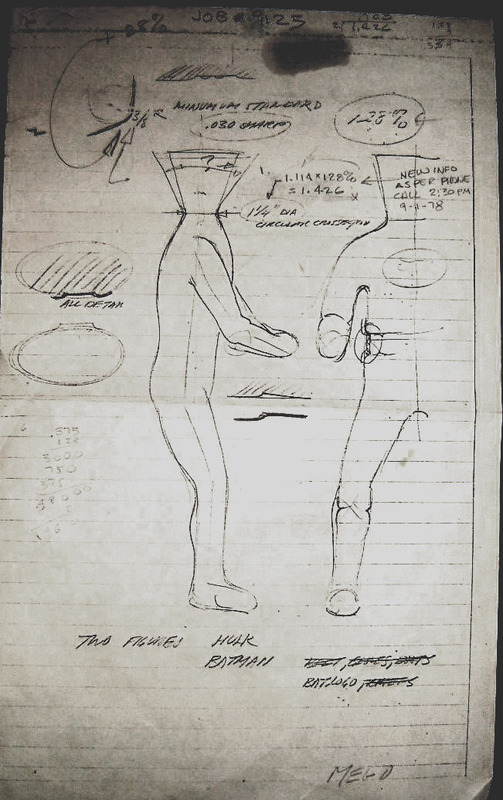 This is a Stretch X Ray that came from the personal collection of the Movie Star Celebrity Leonardo Dicaprio. (The actor from the Movie Titanic).Absolutely,Totally soft and Mint Stretch X .Comes with Head bag,instructions,verification tags of authenticity from the auction house stateing this X is from the collection of Leonardo Di Caprio.Also included with this purchase is the auction letter picturing Leonardo standing next to his toy collection at his controlled temp wharehouse.Leonardo has had an ongoing relationship with the Morphys auction house where he has placed many of his vintage toys for sale. All proceeds are donated to the Leonardo DiCaprio foundation Established in 1998.The Foundation has actively fostered awareness of enviromental issues through several enviromental orginizations.This is a really cool Celebrity Stretch X to have in my collection. Thanks Leonardo! 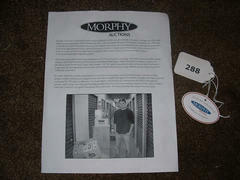 Close up of the Morphy Auction Tags Stateing "From The Collection of Leonardo DiCaprio"and Picture of Leonardo standing next to his Vintage Toy Collection. 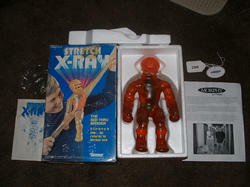 288 was the Auction Item number for the above Stretch X Ray Figure. I also have the Ebay Auction Listing of this Sale with pictures. Who would have thought Leonardo was a stretchy! Thats right boys and girls, I have em all. 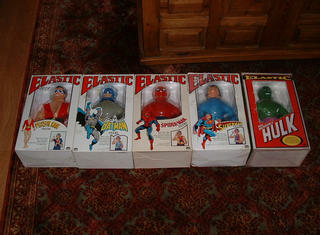 I now have all the Mego elastic Super Heroes!!!! Yippee!!!! Gee that only took 5 F*%*#ng years! Talk about dilligence. Im slowly closing in on having every stretch in the stretch kingdom. Only more to go. This is a shot of the Serpents Back side. The coolest styrofoam Coffin of all the stretches I must say. 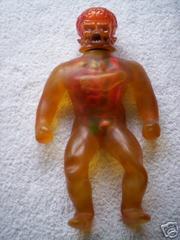 The second rarest of all the stretches in the stretch Kigdom, 2nd in rarity only to the Mego Plasticman of which there is only one known example. Setting your eyes on the Serpent is like seeing one of the wonders of the world. Mega, Super Duper Rare! This Serpent is Crazy!!!!! 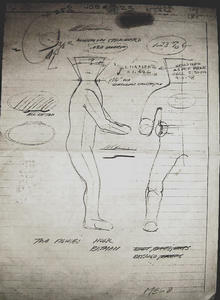 This is an actual Scratch pad that a former HMS employee threw ideas down on for the Mego Batman and Incredible Hulk.These thoughts and ideas jotted down on scrap were the very first details of the production of these fine Stretch Figures. A very interesting and great piece of Stretch history. Click on pic for a better detailed view. The above photo showing an old catolog of the Denys Fisher Stretch Hulk an Stretch Armstrong is the first proof that the Denys Hulk was not in fact limited to 1259 but as you can see this was only a Cat No. 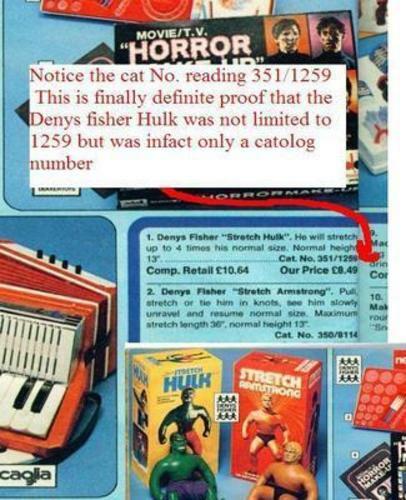 For many years it was believed that the Denys Hulk was limited becasue the number tape read 351/1259.This was mistaken as the first numbers being the 351st Hulk and the second number being the total produced.even though the Hulk was not technically a limited stretch figure,it is in fact so incredibly rare and must have been produced in very small numbers.In fact there may have been even fewer than 1,259 Stretch Hulks produced.Be sure to click on the pic for a closer look at the catolog number in the add..
KB Toys back in the 1970s with a slew of Mego elastics on the shelves.Look very closely on the top and youll see all the elastics. Notice how the Red Hulk Box is missing. Hulk was released seperately from the rest. 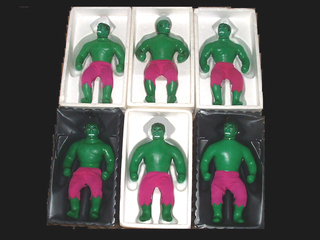 These are my 6 Denys Fisher Stretch Incredible Hulks!! I have no idea how I got so lucky to end up with 6 of these Babies but man am I happy! This means at the present time I posess about one third of the known Hulks to exist ! 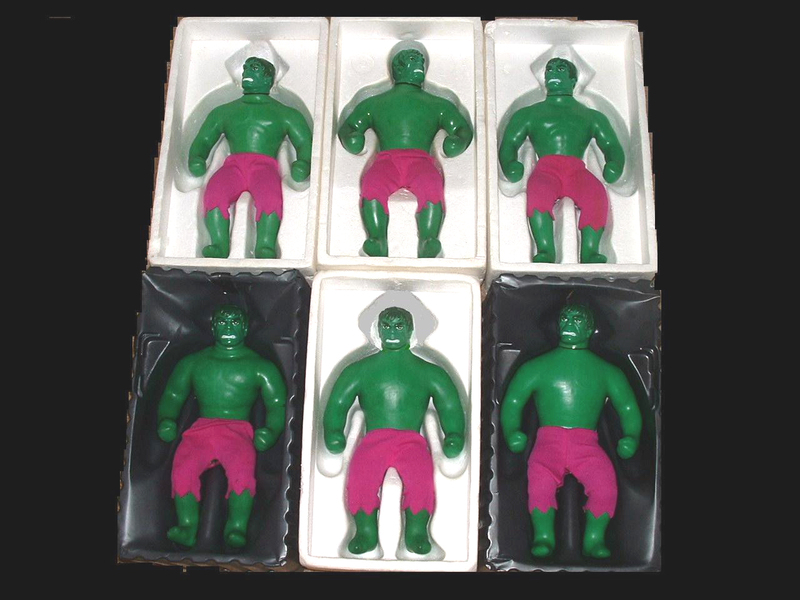 I can only assume that I am the only person in the world with 6 Denys Fisher Stretch Hulks. Dont forget 4 original Boxes.Wow! If anyone out there is interested in purchasing one, contact me and I may consider selling you one,we can discuss price. The mega rare mego elastic Superman shoqn here with the ultra rare never seen S sticker still on card. This sticker is made to be placed on the back of Superman Capre and adds a tremendous value to the figure if found in any condition and especially still on the card. 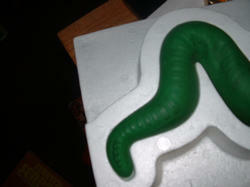 Another closeup of the Serpent. 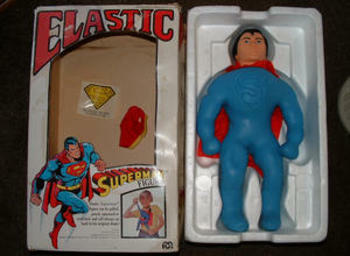 Look how nice the skin still looks after 30 years in the box. The nicest example of the United Kingdom release Stretch X RAY. Very clean with supple skin and also very clear.Only 3 of these seen in 4 years. I had 2 of these and sold 1.Very rare Click on the above stretch X Ray and see the origianl Stretch X Ray Commercial of Old.